My last day with Hermione in Newport, RI was memorable to be sure! 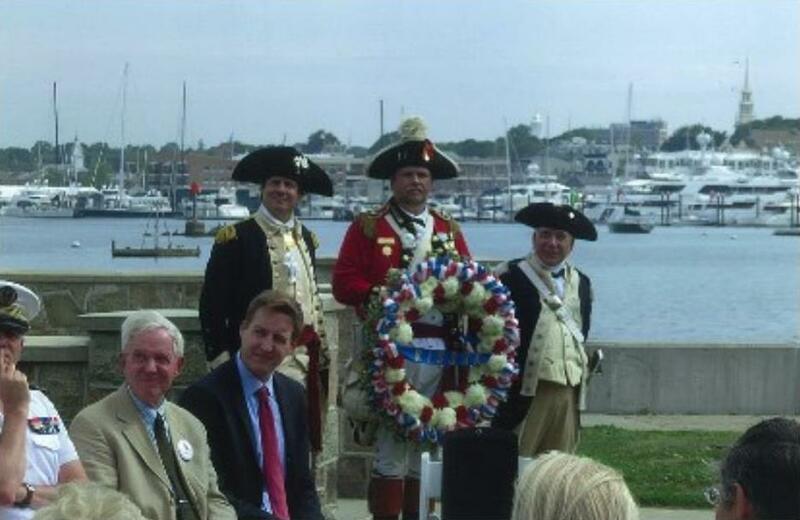 Congratulations to the planning committee for Newport’s hosting of Lafayette’s replica Freedom Frigate. I commend the committee for book ending the event, that is to say, by opening and closing, with two Rochambeau celebrations. Huzzah! In case you have not had time to read my Parts 1, 2 and 3 recounting of the fabulous two day welcome, allow me to fill you in briefly. First on the program was the memorial to Rochambeau’s valiant Admiral deTernay who died in Newport in December 1780, barely six months after his arrival. 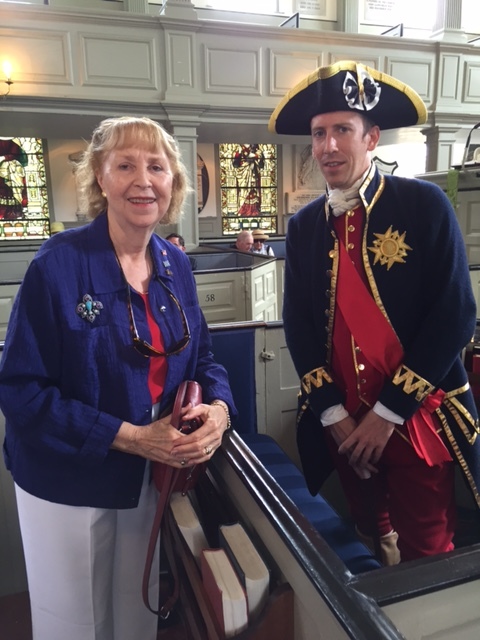 On July 8, 2015 re-enactment soldiers of the 1st Regiment of Rhode Island and Rochambeau’s Bourbonnais Regiment assembled at Trinity Church to honor Admiral de Ternay with the laying of a wreath on his tomb. 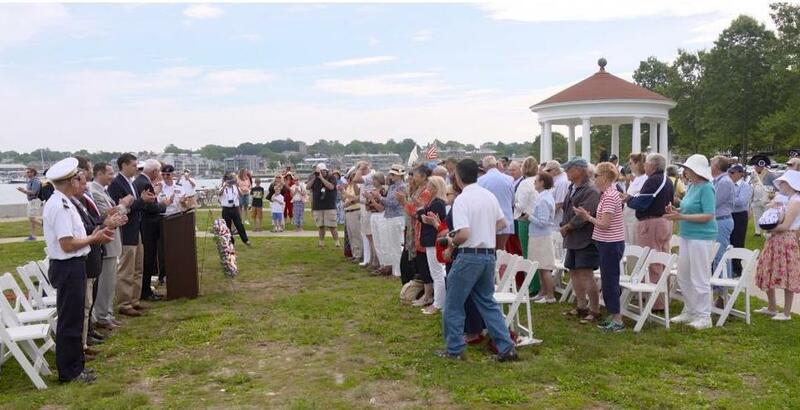 Today I want to highlight the second Rochambeau event: the laying of a wreath at the statue of Rochambeau by the sea in King Park, Newport, RI. This commemorative statue is described in detail in my book, Rochambeau, Washington’s Ideal Lieutenant, along with three other similar statues by the same French sculptor, Jean-Jacques-Fernand Hamar. 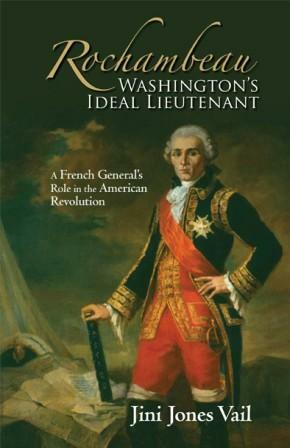 The 3 other hand-sculpted Rochambeau statues stand in Paris, in Vendome (France), and in Washington, DC. If you have the opportunity to visit the White House in DC, take some time to cross the street to Lafayette Square where you will see one of these famous statues of Rochambeau paired with Lafayette. 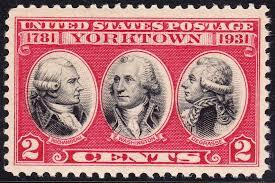 These two friends of American liberty gave much to help birth our amazing country more than 240 years ago. But, I digress, so, back to Newport and my last day in town. 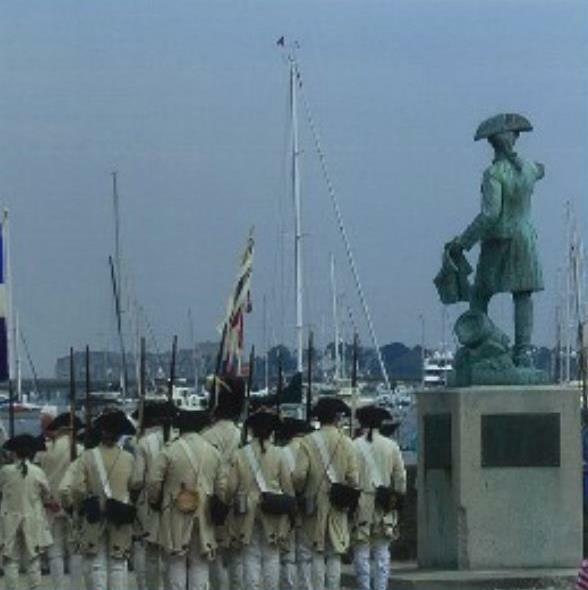 I was in for 2 fine surprises that early morning of July 9th as our group headed for the Rochambeau statue by the sea. It was to be another super sizzling hot day in more ways than one for me! Neither the sun nor it blazing heat is a friend of mine. I was wearing my extra broad-brimmed Sun Precautions white hat as I approached the chairs set up in front of the statue facing the podium and the line of chairs for the dignitaries. This time I knew we would see many of the same military officers and public patrons of the Hermione, and Lafayette as the day before. 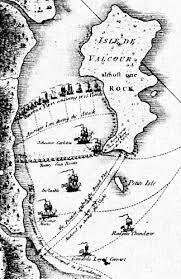 But this day, I would expect to see, in addition, those like myself, with special interest in Rochambeau, the elder statesman and experienced French military career officer who, with George Washington, strategized the final battle of the American Revolution. This was to be heavy stuff! 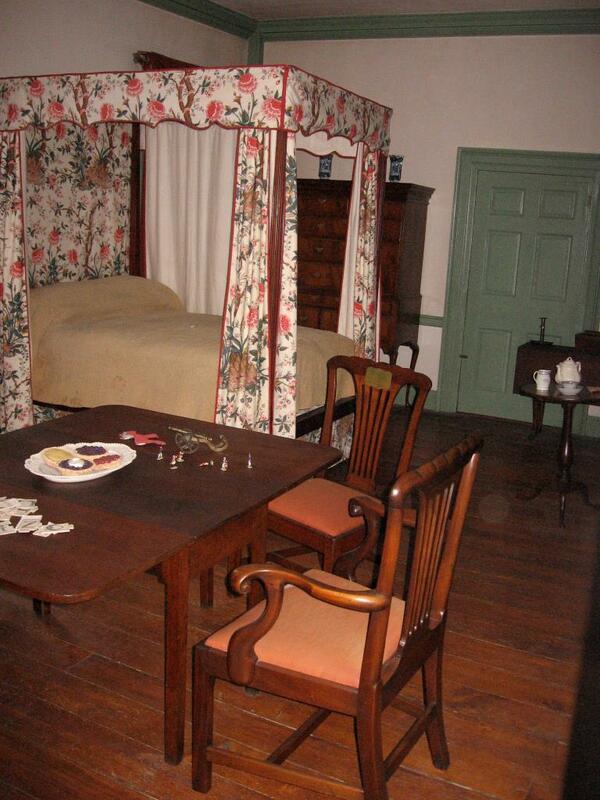 With my limited low vision, I moved toward the chairs, looking for a vacant seat. Then to my surprise, I found myself face to face with an elegant young mother carrying her infant daughter at the end of the third row. 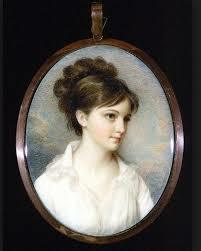 When our eyes met, we both recognized each other as having met at the first Rochambeau event at Trinity Church. We had both been huddling in the narrow spot of shade of an upright monument in the graveyard there, trying to avoid the hot sun’s rays. 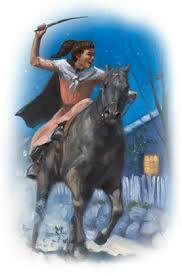 In an instant, she sprang up with her baby in her arms and pointed to her seat, graciously offering it to me. I demurred, saying that no, she and the baby needed the seat more than I! She would hear none of it and moved aside motioning with her hand for me to sit. Finally I gave in, thanking her profusely for her kindness. That was my first surprise, a very welcome one at that! 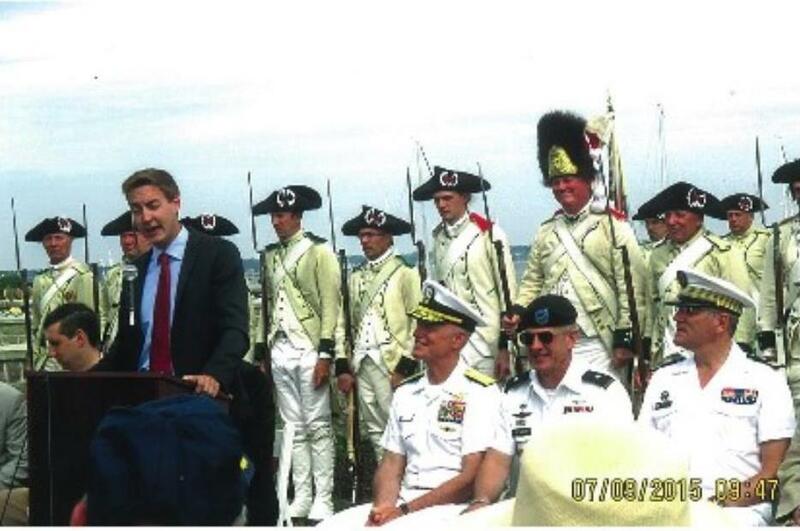 Two things came of that mother’s kindness: one was that a few days later, when I received photos of the French press coverage of the Rochambeau wreath – laying from my friends, Claude and Lily Ressouches who live near Albi, France, I spotted myself in the large hat at the end of the row! So silly, you say, but no coincidence in my view! Then secondly, as I was fortunate enough to sit near the front so I could both see and hear the speeches made by the French and American dignitaries who lauded Rochambeau’s role in our revolution that ended so well!